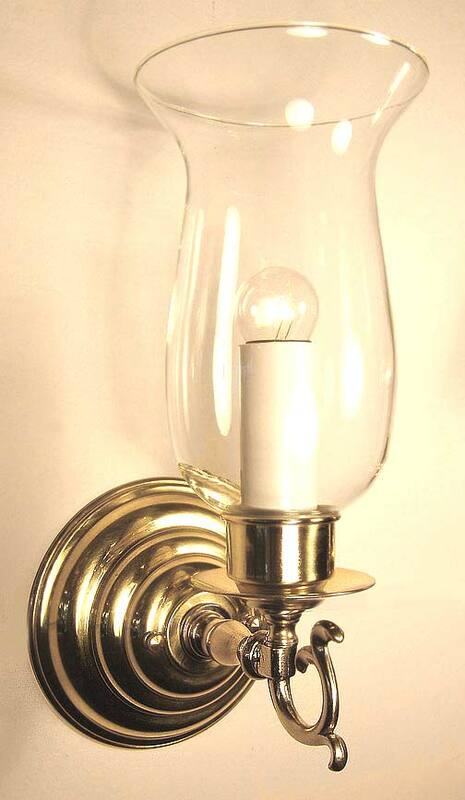 This traditional Colonial hurricane wall sconce, like all of our products, can be designed in many different metal colors like Nickel, Pewter, Bronze even Gold! It is a wall lamp that can be placed just about anywhere. Features a delicate yet stunning hurricane shade, Beehive Canopy and candle cover. Width 5.5 In. / Projection 7 In. / Depth 13 In.